We advise you in the realisation of your inherited collection. A loved one has passed away. In addition to the void that is caused by his loss, he has left you his personal things. A part of these things is alive in you and will also continue to carry memories of the loved one. Stamp collections can be found in many estates. 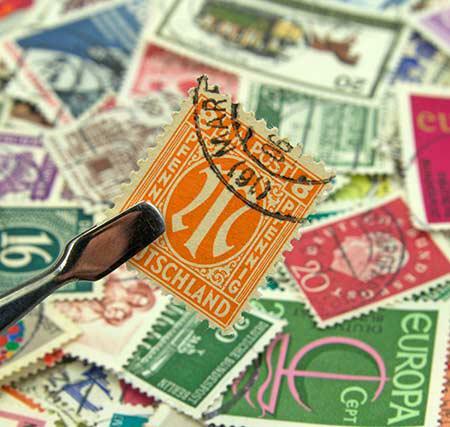 Collecting stamps has enjoyed a much higher profile among older generations than today. The stamp was considered as “the little man’s shares”. But all too often the heirs have no use for the collection and are often at a loss when it comes to the disposal of the collection. We at the auction house of Heinrich Koehler are confronted almost daily with this situation and we want to provide the best possible assistance with the disposal. In the final analysis, the collection has often been put together over decades and it may represent the life’s work of a person, and so it would be unforgivable to simply sell it off “dirt-cheap”. Basically, we accept any kind of philatelic estates as auction material; the only requirement is that a minimum valuation of 2,000 euros should be achieved. You may be sure of this - together with you we will make the best of the inherited collection. Our income is the commission that we receive from passing on your stamps to our international clientele. Therefore the highest possible auction prices are your and our goal. Only selling by auction with us as your strong partner can give you the security of having done everything right. From the first contact up to payment of the proceeds the team of the auction house of Heinrich Koehler stands beside you for advice. The greatest care is our most important maxim. To create transparency for you, we have undergone us a complicated procedure, at the end of which we obtained the DIN ISO 9001 certificate. This is normally used by the Technical Inspection Association to control industrial enterprises in their work. We have adapted the procedure and have been certified as the first and only auction house worldwide.